Local police investigating anti-Semitic graffiti left on a building near the University of Virginia campus in Charlottesville. Local police are investigating anti-Semitic graffiti left on a building near the University of Virginia campus in Charlottesville. Students discovered the graffiti on Sunday on the GrandMarc building, a private student housing complex, according to The Cavalier Daily. The bright orange spray-painted image, which has since been removed, showed a Star of David with the word "Juden" written underneath, a German term for the Jewish people. 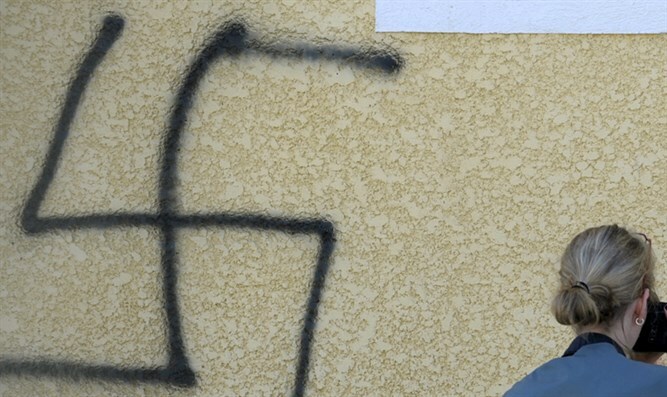 "The graffiti references language used in the Holocaust and is designed to target and intimidate individuals of the Jewish faith," the university's dean of students, Allen Groves, said in a statement, according to NBC. A Jewish student said she spotted two additional images on the building in the same color, including a pentagram and the word "Satan," The Cavalier Daily reported.